At PROLIM, we ensure that we follow best practices while maintaining our systems so that our production environment is stable. A unique methodology with clear metrics, entry and exit criteria defined across all stages to ensure transparency and accountability. PROLIM supports your organization through the on-going maintenance and support of PLM solution. Complete Product Lifecycle Management Services for all Industry Verticals – Businesses are expending their reach into global markets and getting dispersed. Integrating various business processes including the design, manufacturing, production and support functions, has become vital to improve business processes and streamline entire business operations. PROLIM Product Life Cycle management services provide end-to-end services from developing a strategic roadmap of a product to implementation. We ensure you reach your customers faster and gain a competitive advantage enabling faster time-to-market, reduced cost of product development and product innovation. Our dedicated team of consultants delivers comprehensive solutions that will help you reach your customers faster and lowering total cost of ownership. PROLIM has been helping IT enabled businesses to meet the challenge of ongoing product support and maintenance with a range of services designed to substantially lower their maintenance costs and ensure timely response and guaranteed service levels on a 24 x 7 basis. PROLIM’s presence in different continents means support your customers can receive in a phone call way. With teams staffed across in USA and India centers means you can use PROLIM services as an extension of your existing product support teams or to provide turn-key round-the-clock support services. Our staffing model, which includes a “shadow team” is able to supplement the core team as necessary, and provides clients with greatly enhanced flexibility in addressing special maintenance and support needs. 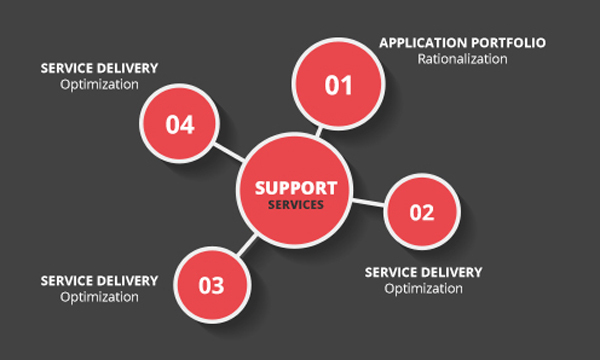 PROLIM services include cost-effective maintenance & support for high-volume Web sites, including technical & user support, & ongoing content updates. The delivery of highly available & reliable technical support is critical to your business & enables your company to retain customers. PROLIM helps companies meet the challenge of providing excellent technical support, with services designed to rapidly diagnose & solve customers’ problems. As a result, end users enjoy responsive service, while our clients benefit from higher customer satisfaction & lower technical support costs. We specialize in supporting complex software products, which have been customized & integrated with a variety of other systems. PROLIM leverages our unique knowledge-based support technology, employing rules-based systems and intelligent agents, to enable our technical support consultants to quickly & reliably find accurate solutions to complex problems. PROLIM offers turnkey 24×7 technical support services, and can supplement a client’s internal support staff, acting as an extension of the support team to provide after-hours support or select-hours support. PROLIM has been helping IT enabled business to meet the challenge of ongoing product support and maintenance with a range of services designed to substantially lower their maintenance costs and ensure timely response and guaranteed service.